You can only turn Quiet Hours on or off in Windows 10, but not set the actual hours you want? We have, too. But with a little Registry or Group Policy hack, it turns out you can. Windows 8 introduced the idea of Quiet Hours—Windows’ version of Do Not Disturb, where notifications won’t notify you during those hours. And in Windows 8, you could configure Quiet Hours to turn off and on at certain times. For some reason, Microsoft did away with that control in Windows 10, leaving you with only an on/off switch and the impression that everybody must have the same hours off. By default, Windows 10 sets Quiet Hours from midnight to 6:00 am, with no way to change them in the UI. 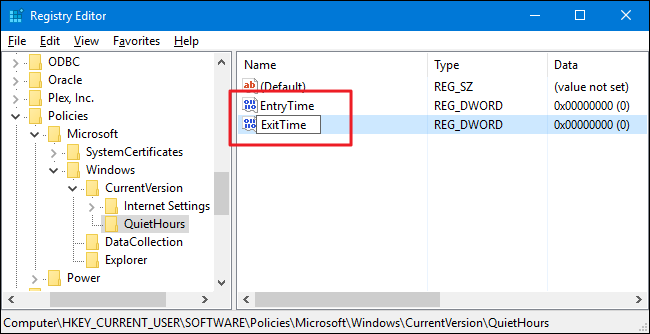 The good news is that if you’re willing to dive into the Windows Registry or Local Group Policy Editor to make a couple of quick settings changes, you can change the actual times that Quiet Hours uses. Standard warning: Registry Editor is a powerful tool and misusing it can render your system unstable or even inoperable. This is a pretty simple hack and as long as you stick to the instructions, you shouldn’t have any problems. Next, create a new subkey inside the CurrentVersion key. 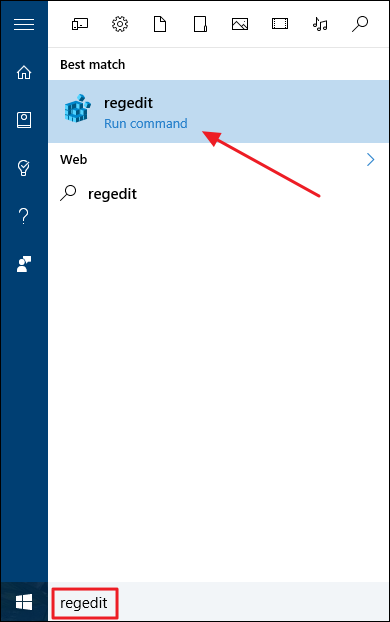 Right-click the CurrentVersion key and choose New > Key. Name the new key QuietHours . Now, you’re going to create two new values inside the new QuietHours key. 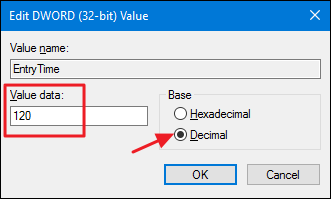 Right-click the QuietHours key and choose New > DWORD (32-bit) Value. Name the new value EntryTime . Create a second DWORD value in the QuietHours key and name it ExitTime . You can now close Registry Editor. The changes take place immediately, so there’s no need to restart your PC or anything. The new Quiet Hours start and end times should be in effect from now on. To reverse the change, just follow the same steps and delete the QuietHours key you made, which will also delete the two values you created in that key. 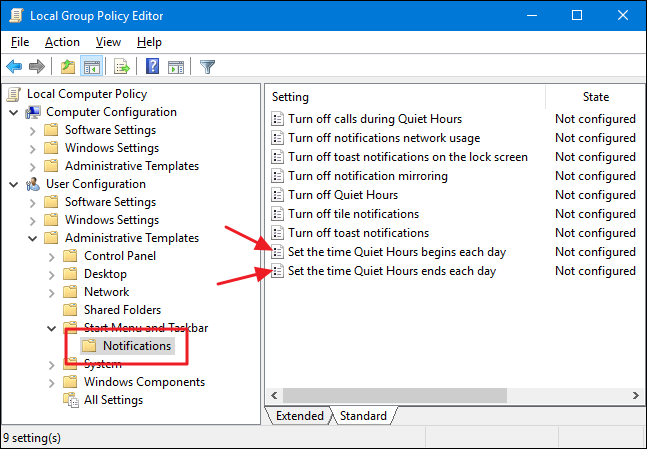 If you’re using Windows 10 Pro or Enterprise, the easiest way to change Quiet Hours is by using the Local Group Policy Editor. Also, if you’re on a company network, do everyone a favor and check with your admin first. 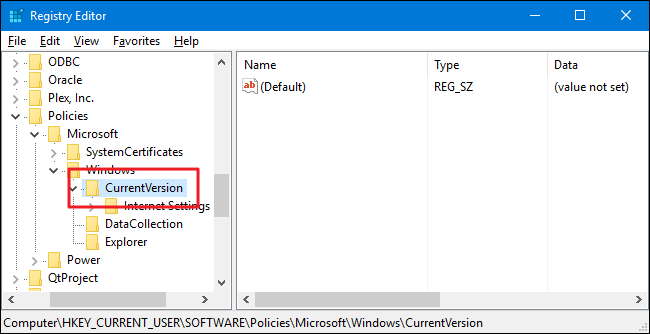 If your work computer is part of a domain, it’s also likely that it’s part of a domain group policy that will supersede the local group policy, anyway. 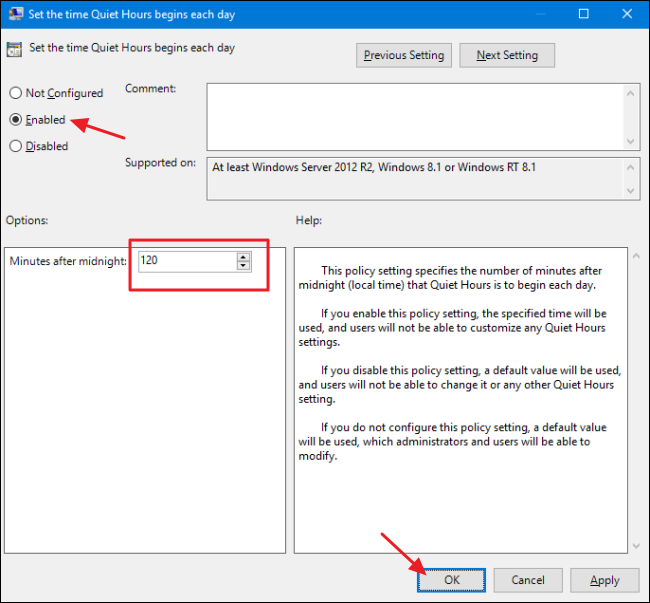 Now, you’ll use the same procedure with the “Set the time Quiet Hours ends each day” setting to configure the number of minutes after midnight that Quiet Hours ends. So, for example, we might set 600 minutes so that Quiet Hours ends at 10:00am. 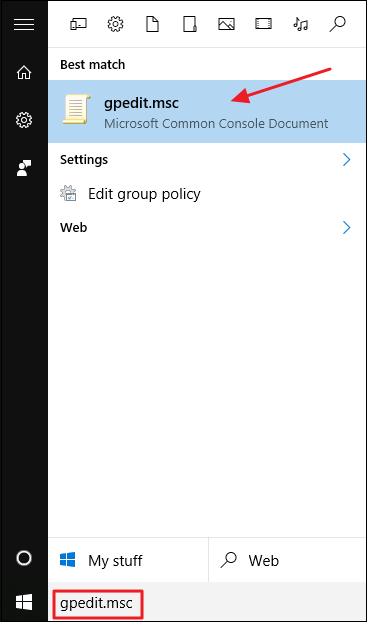 After configuring both settings, you can exit Local Group Policy Editor. Changes are immediate, so no need to restart Windows. 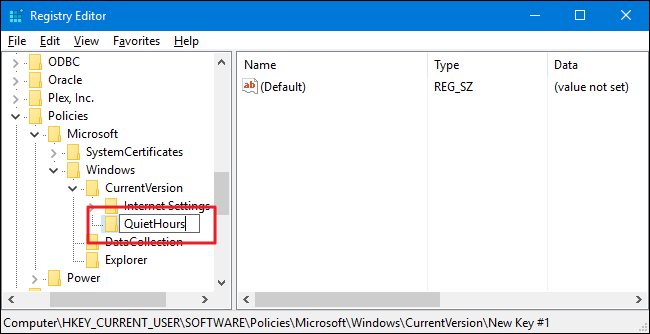 And if you want to turn off your new settings at any time, just go back in to Local Group Policy Editor and change both those settings to “Not Configured.” Windows will then return to using the default 12:00am–6:00am Quiet Hours.